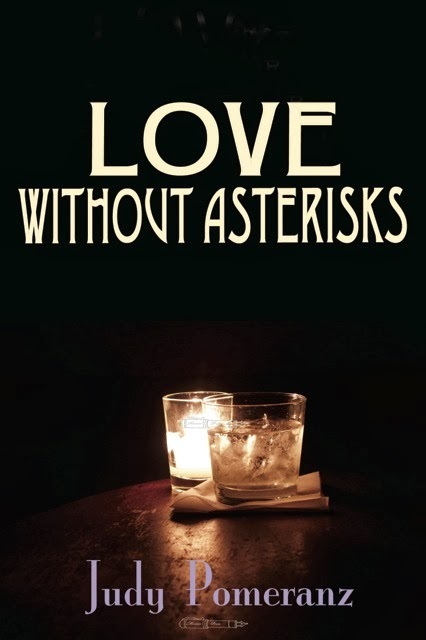 Judy Pomeranz is the author of the new novel Love Without Asterisks. 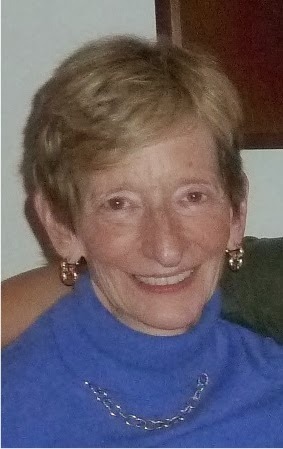 She is a freelance writer who has lectured on art history and taught fiction-writing classes. She lives in Chicago. 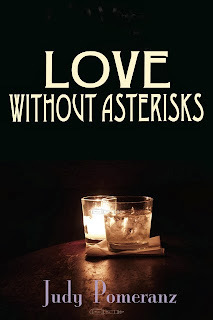 Q: How did you decide on the title Love Without Asterisks? When I was later re-working the manuscript into a single long-form work, I realized this kind of love was fundamentally what nearly all the characters were, in one way or another, seeking, and thus it seemed an apt title for the book. Q: Why did you decide to tell your characters’ stories from multiple points of view? Much of the fun of writing the book, for me, was diving and delving into the heads and motivations of each of my very different characters. Seeing the world through each of their own sets of eyes seemed like the most honest and organic way to do this. In the process, I naturally filtered what they filtered, adopted their unique perspectives, and perceived reality as each of them did, rather than as some objective arbiter of the way things are. So, honestly, it was for my own pleasure. Q: Among your various characters, did you have a favorite? A: I actually like each of them, with the possible exception of Mike, for their own humanity, and I sympathized with each of them as they negotiated their way through their own lives. I am particularly drawn to Isabelle, who broadened her worldview – though not entirely voluntarily – at a rather advanced age. I am also drawn to Larissa, for her poignant combination of swagger and vulnerability. Q: Could you explain more about your writing process as you worked on the book? A: As I mentioned, I wrote this month-by-month as a serial, and I did not know how it would end. I relatively early developed a sense of the overall trajectory of each character’s life, but did not know what their outcomes in the story would be. This made the writing fun for me, as I was telling myself the story as I went along, but also a little scary, as I wasn’t sure all the pieces would ultimately come together! In terms of new work, I have returned to the short story form for the moment. In the course of working on my M.A. at Johns Hopkins, I learned to love crafting short stories, in which each word must be carefully selected and add to the overall goal. And of course I enjoy the more immediate gratification of completing a short story! At the same time, I am working on getting my first two serialized novellas (both of which are set in the Manhattan art world) into book form. I look forward to eventually having the three Manhattan books form sort of a trio, though not a trilogy, as each features entirely different characters and is set in a different time period. A: Though I have published a fair number of short stories and hundreds of art reviews and articles over a period of nearly two decades, having my first novel published and listening to people talk about my characters and their idiosyncratic issues is an amazing thrill.